Get involved with Realwheels! We welcome your interest! Opportunities to get involved exist on several fronts. 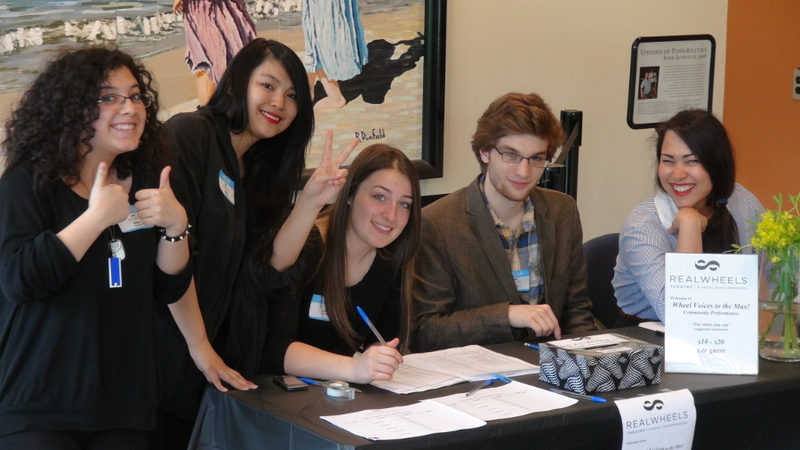 From time to time, Realwheels needs committed volunteers to help administratively or behind the scenes. If you’re interested in volunteering, shoot us an email. Tell us what interests you and if you have any special skills you’d like to share. We look forward to being in touch! We’re often on the lookout for new conscientious board members who are passionate about what we do. If you’d like to learn more, just get in touch! 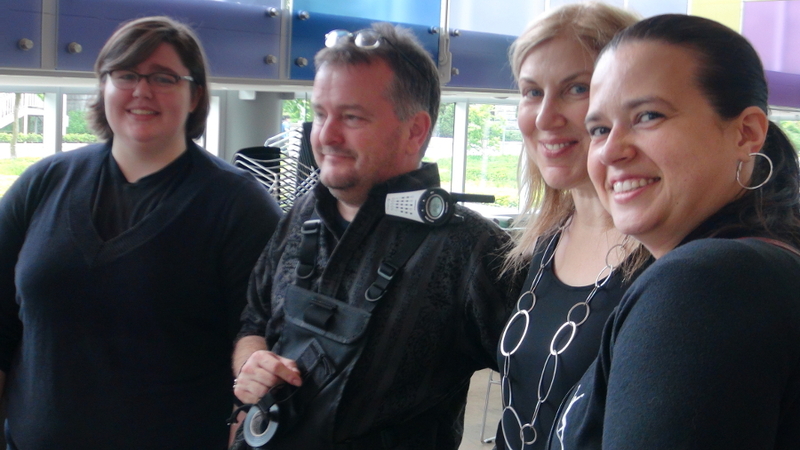 A few of the people who helped create Wheel Voices to the Max! 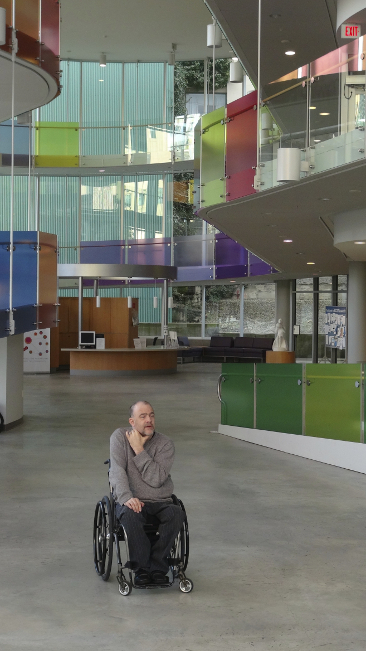 James at the Blusson Spinal Cord Centre, site of Wheel Voices to the Max! 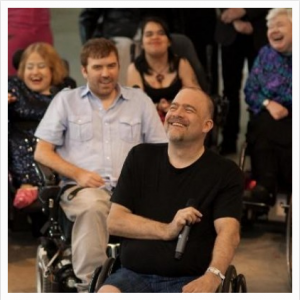 Realwheels seeks to enrich our community by producing and presenting exceptional live theatre that touches the heart, engages the mind, and delights the spirit. We offer meaningful opportunities to partner with a cultural organization that’s making a difference. As a corporate supporter, you’ll receive benefits and privileges that are customized to enhance your objectives and serve your market. We offer your company the opportunity to leverage communications, client and employee recognition, and philanthropic objectives in ways that build goodwill and strengthen your brand identity. Contact us to learn about becoming one of our valued corporate sponsors. A few of our younger volunteers from Wheel Voices to the Max!